The family told NBC 5 they called to report the smell of natural gas sometime Sunday afternoon and that a short time later a crew from Atmos Energy arrived to investigate. In their search for the leak, the crew began digging up the road in front of the family's home on the 3500 block of Colgate Lane; firefighters with the Irving Fire Department were staged nearby on standby. Throughout the search, the family said, they were assured by officials it was safe for them to remain inside their home despite the lingering smell of natural gas. 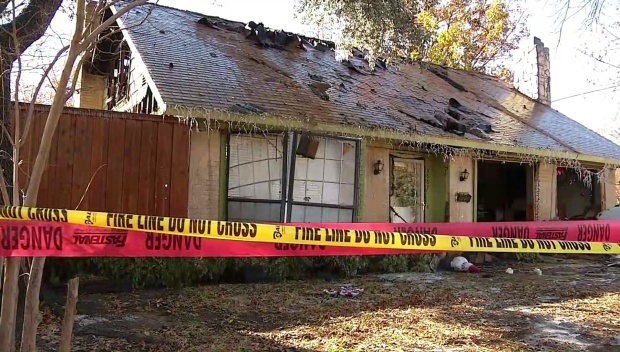 A natural gas leak is being blamed in an explosion that damaged a home in Irving early on New Year's Day. At about 3 a.m., with the smell of natural gas still in the air, the family again asked workers outside if it was safe for them to remain in their home. "My mom came outside and asked them if everything was fine because it's been a long while (since) they were working on it," said Alejandra de la Cruz. "He said, 'If you're fine, we're fine. Everything is fine.' They told us we didn't need to evacuate. They're the experts. We're not going to evauate if you're telling us everything is fine." Assured they were safe, the family of four adults and a 5-year-old boy all went to sleep. Less than two hours later, the family awoke to the sound of an explosion and their home on fire. 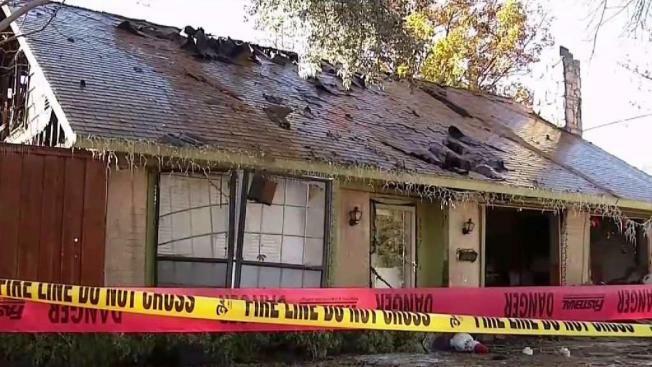 Forced outside into bone-chilling cold, everyone inside the home managed to escape without serious injury though a woman did report minor burns after a burning piece of ceiling fell on her head. The home, the family said, is a total loss. Atmos Energy spokeswoman Claire Skillestad emailed statement which said the company's thoughts are with the family who was affected. "Their safety, the safety of our system and employees is our top priority," the statement said. Skillestad said the family's concerns about not being evacuated would be part of an internal investigation. She declined to provide a timetable for when the leak was first reported, when Atmos crews arrived and when they notified the fire department. Irving Fire Department Assistant Chief J. Taylor said firefighters were already on the scene at the time of the explosion. He said the department had responded to Atmos' request for "traffic control" on O'Connor Road and that "it was Atmos' scene." Taylor said Atmos crews told firefighters there was no need to evacuate any nearby residents so they did not. The northbound lanes of O'Connor Road remained closed Monday afternoon between Rochelle Road and Northgate Drive.